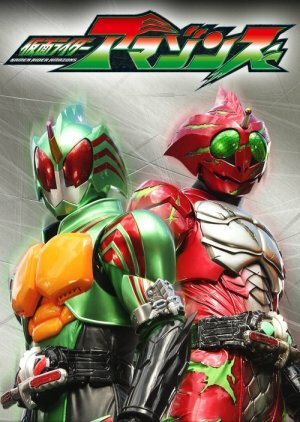 In this Amazons Prime exclusive remake of the cult favorite showa era series "Kamen Rider Amazon" a young man named Haruka has spent the past few years of his life being told he can not go outside due to a rare medical condition, but he will soon discover that and many other parts of his life were a lie when he meets Jin Takayama, a man who is part of a new man made species called Amazons and is also out to kill all other Amazons. Why is Jin doing this? What is Haruka's true past and what will be the future he chooses? In a city where beasts laugh, it's anyone guess. It's been a long time since we have seen a proper Kamen Rider series again, with intriguing story and a ot of character depth, also an animal based rider design mixed with blood and awesomeness! Anyway here's a summary about this show. Amazons is a story about Haruka Mizusawa who's an amazon, a monster inside a human skin whom is the result of lab experiment that's done by his own mother, because of his nature Haruka was imprisoned in his own room by his mother not knowing the fact that he himself is a monster. One day he decide not to take the medicine thats given regularly to him because it hurts him and he's sick of it, because of this his monster nature awakens and he runs berserk for the first time, and later fought with Jin Takayama, another amazon who has some sort of belt that can make him control his power. Intrigued by Haruka's power Jin takes him to his home and explains everything to him, about Amazons and the fact that he's one of them, and the fact that they ate humans lol. Thought, Jin never ate a human before and he explains that he hunts down amazons like him and he someday will hunt Haruka too if he begins to ate humans, after sometimes Jin is gone leaving Haruka alone with his girlfriend Nanaha, whom later gives Haruka the same belt as Jin, and made him became one of the Riders to find the purpose of his existence. The story about humanity and amazon is amazing, I also love the different point of view of our two amazon, Haruka and Jin, it's 8.5/10 for me. 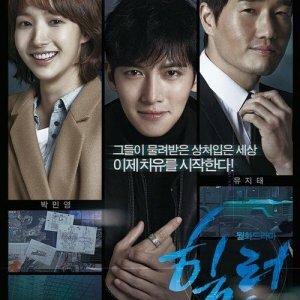 Yeah the actors are kind of bland, maybe because they are newbie, but the story make up for it. Dark and appropriate to the atmosphere, I also love that theme song, Armour Zone! Will not be as thrilling as the first time, but it will still be a decent time. So, it's been a minute sense I've completed a Kamen Rider series. My first was Kamen Rider 555 and I thoroughly enjoyed that one because the tone was more serious/mature. I immediately went in search of more Kamen series with a serious feel and found the ones I tried to be lacking. I did discover GARO and that was an awesome ride. I stumbled across Kamen Rider Amazons recently and decided to give it a try because the synopsis caught my interest. I'm so glad I did. This series is exactly what I've been looking for since KR555 - fun, but mature and not cheesy. The characters are complex. Even though I don't always agree with their actions, I like that they are flawed and dealing with serious issues. The transformations are great and I think the story progresses nicely. In essence, the Amazons and humans are basically on a journey to figure out what makes you human and is being human in direct conflict with being an Amazon or sympathizing with their struggle. I think my only complaint is that I would have liked more screen time for the female characters. They are all interesting and really tough in their own right. Hopefully season 2 delivers on that front. I think if you're a fan of the Kamen Rider franchise, you'll be happy with this one.